For thousands on Long Island, the day begins and ends with the anguish of hunger. Canstruction Long Island is determined to end this suffering. At our event, teams are given 12 hours to defy expectations, logic and gravity as they build fantastic sculptures from thousands of cans of food. Driven by the knowledge that their structures will change lives by lifting the spirits of those in need, by raising public awareness, and most importantly, by filling the shelves of local food banks dedicated volunteers work tirelessly to bring their creations to life. The following day, the super-sized masterpieces are judged in a variety of categories as these unconventional art exhibits are opened to the public. The cost of admission: just one can of food. At the end of the exhibition, all cans are donated to help feed the hungry on Long Island. 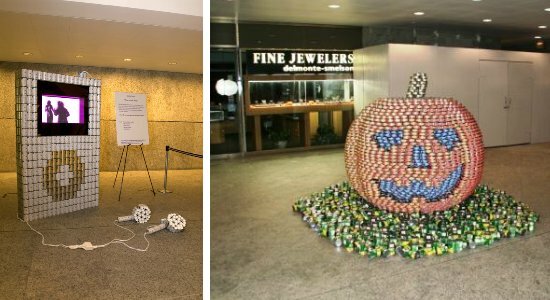 Since 2007, the participants of Canstruction Long Island have donated over 440,000 cans, yielding approximately 290,000 meals, along with over $35,000 to help fight hunger on Long Island​.